Cholesterol is one of most reviled and misunderstood nutritional substances of the past 20 years. It has been blamed by the media and the public, and even many health professionals, for heart disease. The backlash against cholesterol has driven people away from foods like eggs, butter, and meat. But as we learn more, many doctors are suggesting we re-examine cholesterol and its role in human health. These doctors are saying cholesterol does not cause heart disease, and actually plays a positive role in the body. It helps in production of cell membranes, hormones, vitamin D, and it plays a role in fat digestion and neurological function. They are also making the case that statin drugs are being over-prescribed on a massive scale. Only 25 percent of your body’s cholesterol comes through what you eat. Your liver manufactures 75 percent. There are two types of cholesterol: the “good” HDL and the “bad” LDL. Your total cholesterol count also includes trigylcerides, a dangerous fat linked to both heart disease and diabetes, and Lipoprotein(a) or Lp(a), another recognized risk factor. 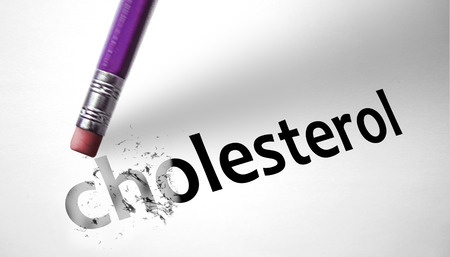 One way to assess your cholesterol status is to divide your HDL level by your total cholesterol. A ratio above 24 percent is ideal. Divide your HDL level by your triglycerides; a ratio below 2 is ideal. Some doctors are also taking issue with the current American Heart Association recommendation for levels of total cholesterol less than 200 mg/dl, and the level of LDL cholesterol to less than 100, or less than 70 for high risk patients. They point out that statin drugs are necessary to reach these levels, and that 8 of the 9 doctors on the panel that produced the recommendations have financial ties to companies that manufacture statin drugs. More current research implicates inflammation as a chief culprit in cardiovascular disease. High levels of inflammation can contribute to high levels of cholesterol, as the body produces cholesterol to help heal and repair itself. Because of its positive role, there are also dangers in having cholesterol levels that are too low. 1. Depletion of the body’s supply of Coenzyme Q10 (CoQ10), vitally important in heart health and muscle function. 2. Activation of the atrogin-1 gene, which is implicated in muscle atrophy. When muscles break down, kidney damage may ensue. 3. Increase in the risk of polyneuropathy, nerve damage in the hands and feet. 4. A link to cognitive impairment and memory loss. 5. An elevated risk of cancer. 6. 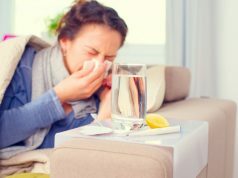 Suppression of the immune system. 7. An increase the risk of depression. Many studies also raise doubts about how effective statins are in their stated purpose of lowering HDL cholesterol and triglycerides. 1. Eat high-quality animal proteins, such as eggs and grass-fed meats, which offer omega 3 fats. Supplement with 500 mg. daily of krill oil. 2. Eliminate grains and sugars from your diet (implicated in elevated triglycerides). If your HDL/cholesterol ratio is skewed, eliminate fruit from your diet until it is brought into alignment. 3. Eat lots of raw vegetables. 4. Eat healthy fats such as olive oil, coconut oil, olives, avocado, raw nuts, and raw seeds. 6. Don’t smoke or drink to excess. 7. Deal with your emotional issues. Stay happy and free of stress. These health experts want you to remember that your health, and your future, are in your own hands. Previous articleIs This Basic Vitamin Deficiency the Cause of Asthma? This is an irresponsible story. Dr Joseph Mercola has no research to back up his opinion, and is a believer in homeopathy which is an alternative therapy without any evidence of efficacy, and much evidence is dangerous if used as a sole treatment for serious diseases. Never take statins, if you think cholesterol is bad then you have to believe that God or Evolution, whichever you want, really screwed up. The only thing wrong in the article is they forgot to tell people to eat grapefruit, which does the same as statins in your liver without all the toxic side effects, which is why people on statins are told to never eat grapefruit. I had a dbl CABG Dec. 2000. Took a statin and a blood pressure drug for a short while. Didn’t like the side effects and did some research. Stopped both of them. I’ll be 83 in a week and am doing OK for an old codger. Only meds I am taking are eye drops. We avoid junk like corn syrup and FFCS which I consider contaminants at best. 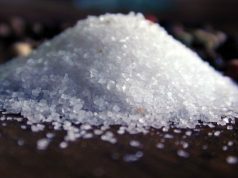 Because of my Mother’s PKD I’ve paid attention to my salt intake. The story is not irresponsible. It is enlightening and hopefully will get people to study and research what they consume. What is irresponsible is to denigrate the story with no backup or alternative suggested.